Japan has a rich history. A time that certainly gets a lot of attention is the Sengoku period in the 17th century. Civil war was on and the various factions were all vying for control. In Zipang Portable, you will be in charge of one of those factions. Using ninjas, samurai, as well as courtesans, aristocrats, and the favor of the Emperor, you will lead your clan to victory. The game was the Gameacon 2016 Game of the Year, and it's up on Kickstarter now. 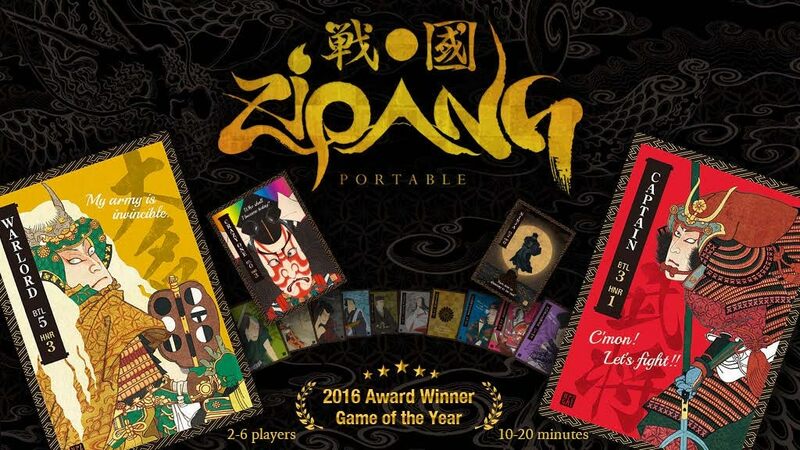 Zipang Portable, the Gameacon 2016 Game of the Year award winner, has gained worldwide attention and is now being launched on Kickstarter, giving people the chance to purchase the card game before it hits the shelves. In this “pick one, play one” card game, you must master the skills of these characters, battling with captains, subverting defenses with ninjas, or inciting peasant uprisings. But be sure to keep your honor intact, lest the Emperor frown upon you and retract his support. The game both plays quickly and supports deep strategy, so you’ll want to play it again and again. “This game is extremely addicting,” said Rick Martin in his review at the Armchair General. Zipang Portable is available for $19 on Kickstarter, providing a discount for those who want to get their hands on it first. Additionally, for $70, retail outlets can purchase five copies of the game, each including all stretch goals and digital rewards. The Kickstarter campaign is very close to its funding goal with still 15 days left on the clock.